Hello. 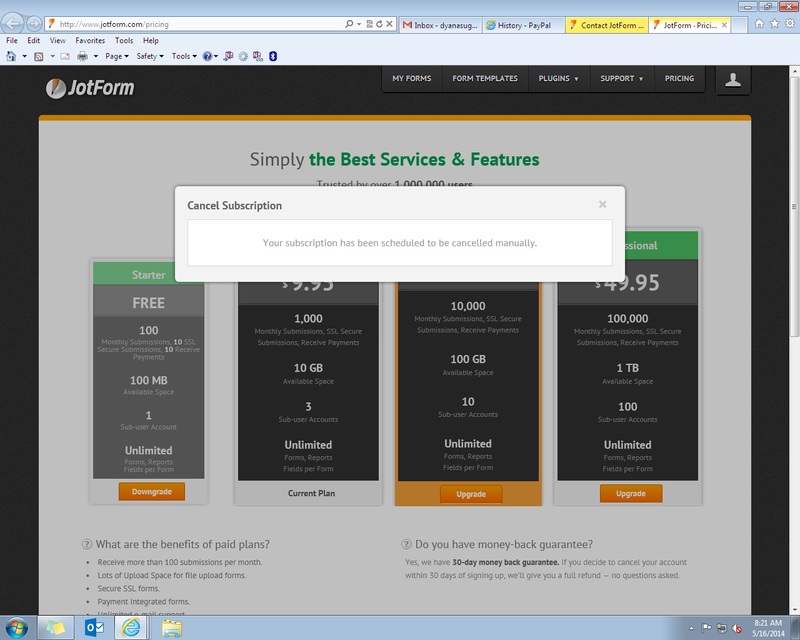 I cancelled my subscription on Paypal, but on Jotform, I am still on Premium Plan. When I clicked cancel subscription, a message saying 'Your subscription has been scheduled to be cancelled manually.' Please assist. TQ. Upon checking, I found that you have paid the subscription payment using PayPal payment gateway. You have to cancel your subscription through your own PayPal account. It seems you have already cancelled your subscription successfully. Your account will stay premium for the time you have already paid and will downgrade on June 12, 2014.